A new store has come to Clinton! 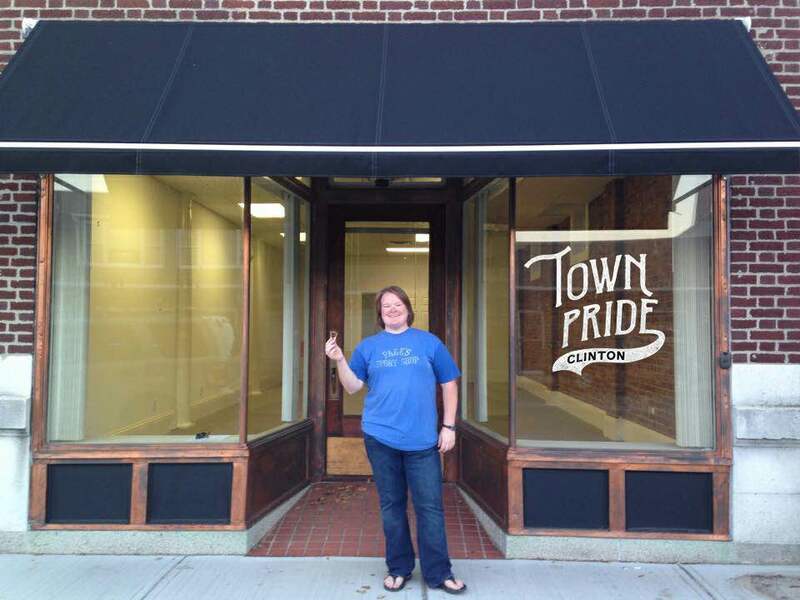 Town Pride is located at 8 Post Office Square, Clinton Connecticut. Christine Elder is the owner and founder of the store. Elder knew she wanted “to do something like this since age fifteen.” The whole process was very quick from making an idea into a reality. First, Elder made her decision when talking to family friend, Morgan English Teacher and Golf Coach Eric Bergman, about winning the Division IV State Golf Championship which “sparked a great dialogue about Clinton and the community we live in. The town is growing larger and more recognizable on the map (especially when Morgan athletics are becoming such a strong force).” Elder hopes to keep that small town pride in our ever growing community not only for the adults, but also its youth. This conversation got Elder thinking and motivated her to find the location, start construction, and miraculously open within three weeks. Elder also explains how she has not always been a Clinton Resident. She and her family moved here eight years ago because it was the “middle” of her and her husband’s jobs therefore she “didn’t know what to expect. Now she and her family cannot imagine living in any other community! We love this town, the school system, athletics, and the ‘small town’ feel. What started as the ‘town in the middle’ for us has turned into so much more.” Elder’s passion for not only our town and the people in it is extremely evident as you walk through the doors of Town Pride. Town Pride has taken over The Morgan School. 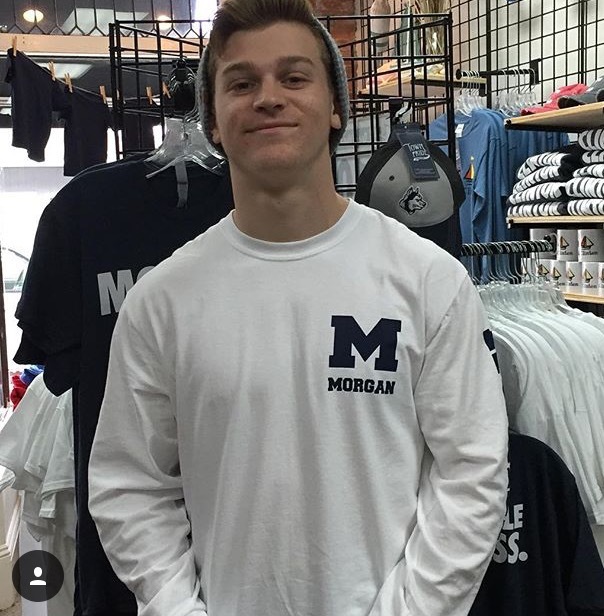 Many of the students at Morgan have been sporting the new store’s apparel including some teachers. The store has clothes for everyone and every sport. Town pride also has sports that usually go unnoticed in a sports shop such as cheerleading, fencing, and golf. 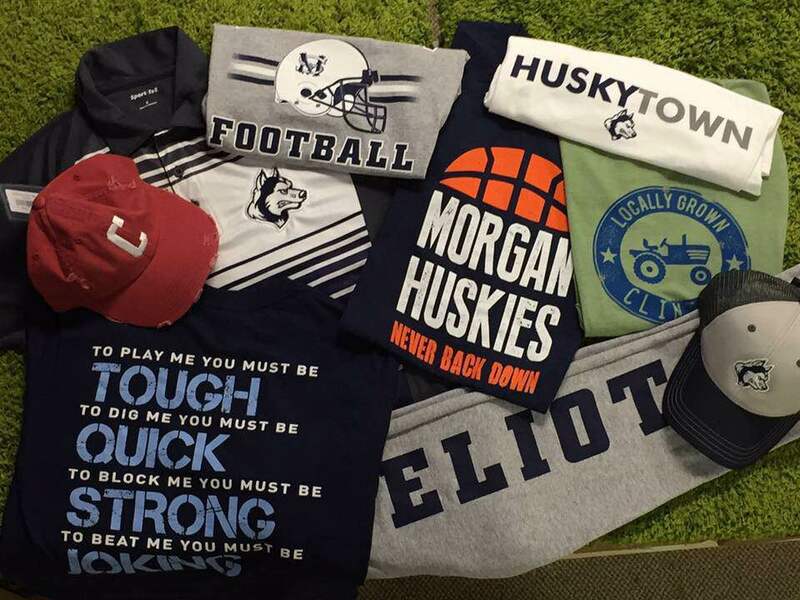 Not only does Town Pride have Morgan apparel, but it also has clothes for Eliot and other Clinton related clothing for not only children, but also adults in the community as well. If you have not visited the store yet, you should stop by and check it out today! You can also find Town Pride not only on Facebook, but also Instagram and Twitter. The store even has its own Website which can all be accessed by clicking on the link! For any questions or their services you can email them at team@townprideclinton.com or call them at (860) 664- 0448. Below are pictures of some of the apparel in the store, if you’re interested go buy clothes today and support our town! !